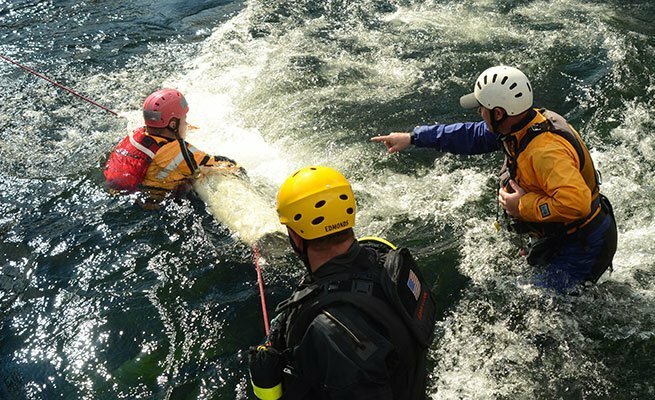 This 1-day recertification course reinstates a Whitewater Rescue Techinician-Pro Certification. Built for river guides and kayakers, this energetic and physical course focuses on honing quick reaction times through an understanding of options and resources. Students will learn how to recognize their own skill level and limits, expand on basic rope rescue skills and elevate their ability to execute rescues as part of a team. 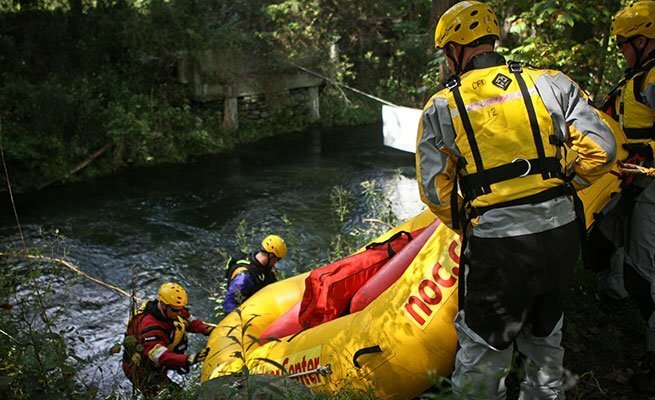 The Whitewater Rescue Technician-Pro is recognized by Rescue 3 International and renews a 3-year certification with successful completion. The Recertification program will be tailored to the needs of the students in each course, refreshing skills learned and providing updates where needed. This course is designed for professional boaters, river guides, and kayakers with existing whitewater skills and comfort in Class II+ whitewater. This course will also update an expiring River Rescue Certification-Pro.